To answer in one sentence: using JabRef and Mendeley we can achieve the easiest and fastest way to create references for your thesis or other reports. Here we illustrate a visual tutorial on how to create references for your need. One main benefit is that you can directly copy paste references thus generated into your Microsoft Word documents, without worrying the formatting issues. What is JabRef? It’s a popular open source bibliography reference manager for Windows, Linux and Mac OS; works on the BibTex standard of LaTeX documentation/typesetting format. One can export BibTeX/JabRef database into a number of formats such as HTML, Docbook, RTF, Endnote in MS Office, OpenOffice.org etc; and on the other hand works equally for many integrated environment such as LyX, Kile, Emacs etc. What is Mendeley? It is also a free reference manager having native support to import and determine pdf files (journal papers) and sync them with an online account. 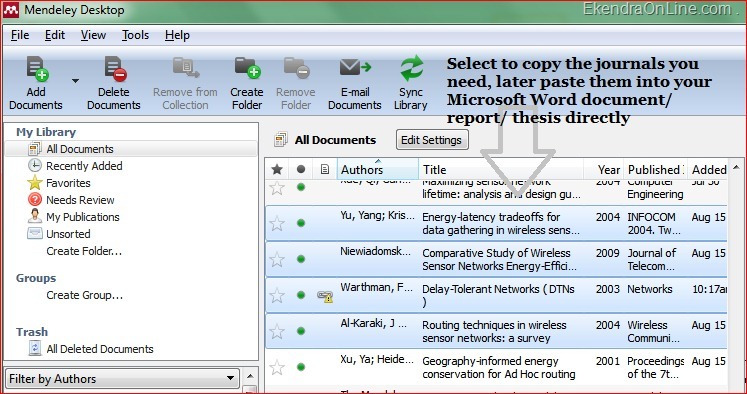 This is an academic software for bibliography creation and research paper management; also gives you online/desktop syncing feature and to create a network of researchers similar to your interests based on your research papers. SLC Result 2070/2071 to be published this Saturday Jestha 31, 2071; how to get the result faster. Step 1. Ensure you have latest version of JAVA installed in your computer because JabRef works under JAVA platform. Click here to check if your computer already have Java installed or not. If not, download from here. Step 2. Install JabRef from the official website. JabRef has issues with administrative rights so you may want to install it anywhere other than Program Files, say you install it in your My Documents folder. 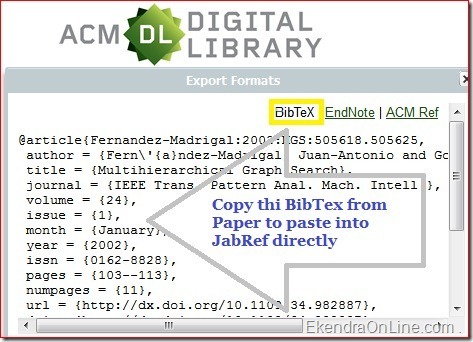 Step 2.1 Create a new database in JabRef, now you can paste the BibTex codes directly from IEEE/ACM/Science Direct/Elsevier or any other site where your paper is located into JabRef. This reference manager will automatically arranged necessary fields for you. Step 3. 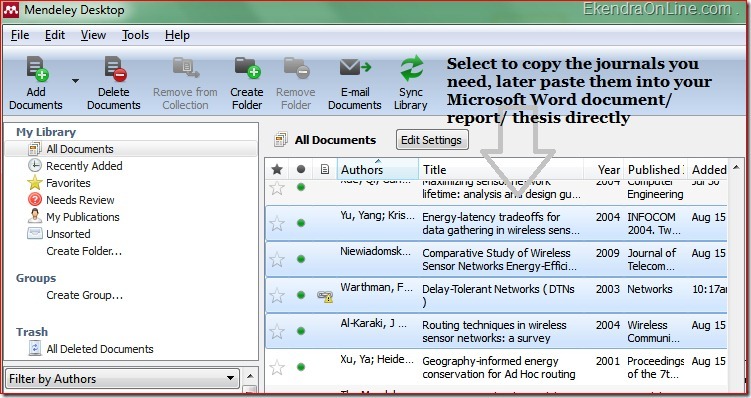 Install Mendeley dekstop application from here. If you don’t already have an account with Mendeley, create one (you can add me to your Mendeley friend list if you like). Step 4. Now, add/open/import that bib file (saved from JabRef database) into Mendeley. Mendeley will then process the imports. When ready you can see a list of the Journals, authors and documents. Simply select only those which you require. Now paste it into your MS Word file, that’s it. Stop searching for generate references online using bibref or anything as such. There is no need to worry about formatting when generating References in Microsoft word this way. Questions or suggestions welcome.